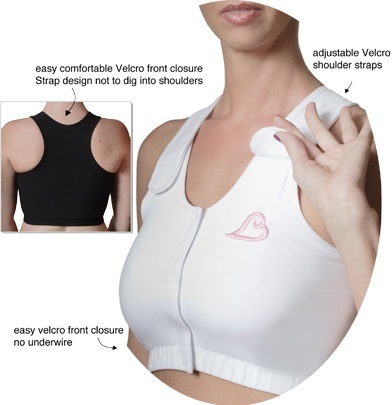 • Medebra is the Perfect Bra after a Brachy Therapy Radiation treatment. When measurement is on the top end of chart, it is recommended to move up one size larger. For example: The proper size for a 34 D is a Large.If Drainage tubes are going to be used, add 1″ to measurement to ensure proper fit.